Not to toot my own horn, but I’ve been called “The Cadillac of Interns” more than once. This is mostly because, after graduating from Yale, I’ve been trying to decide what to be when I grow up by offering to work for just about anyone for just about anything. After six internships, I’ve learned a few key pieces of advice that will make all the difference between a helpful, productive internship and a mutually unprofitable relationship. Below are a few ways you can offer a useful experience to your intern, while giving your own business a boost. Have an end goal before taking on an intern. 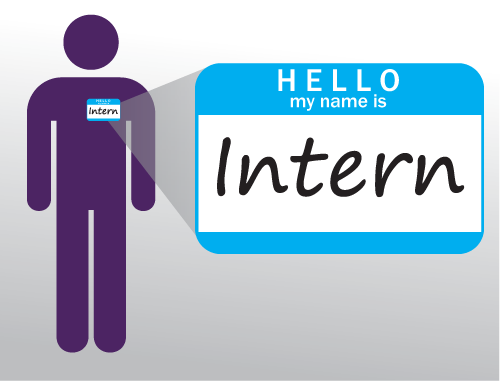 Are you planning a short-term internship? A long-term internship? An internship with the possibility of a job offer? Plan your intern’s time accordingly with clear goals set. Make sure you are not wasting his or her time (and your money) on busy work that serves no useful purpose. Have backup work. There’s nothing worse than finishing at 2 o’clock and asking for more work while trying not to bother your boss. Make your backup work count. While having your intern fetch coffee is useful, a more helpful way to indoctrinate a new intern into the daily grind is to ask for their help in mundane office work. Need a data base clean-up, an excel list scrubbed, or have a checklist of things you can never find the time to do? This “knowledge of daily office work” is gold for an intern’s resume as well as their confidence around the office. And it frees you up to work on the more specialized tasks. Set clear priorities and finish deadlines. Simple, yet this can effectively teach project and time management. For larger projects, be sure to break down the steps into smaller, more manageable goals. Vary the types of projects you give, where possible. I don’t know about you, but some days my brain is fried from thinking and other days, fried from not thinking enough. Keeping your intern’s intellect intact can be as simple as pacing between two or three different projects. Most importantly: Give hands on experience! If your intern typically manages the phone while working on homework, they might not be getting the best experience possible. Try to find ways to have your intern’s day mirror yours, whether it be asking them to attend a conference with you or giving them real projects to work on while answering phones. The best internships are the ones that interns come out feeling like they understand the work the employers do. Whether it’s positive or negative, hands-on knowledge of the business is infinitely useful for your intern’s future career, and will provide the most knowledgeable, product work from your intern. Great advice. It’s nice to see someone giving suggestions to the employers about how to run a successful internship program. To date we’ve had outstanding experiences with over 20 different interns, all working on different projects that were “win-win” for both parties.